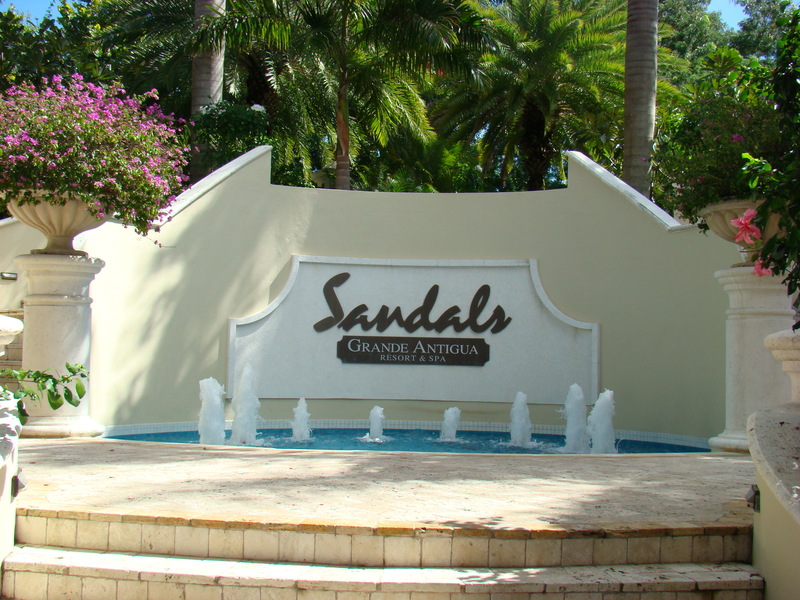 I am so happy to announce that Sandals Grande Antigua re-opened on December 17th, 2017 – refurbishments completed after Hurricane Irma passed by. From Mr. “G” the general manger down the entire resort team is waiting with open arms to welcome guest back to one of my favorite Sandals Resorts. Located on the beautiful Caribbean island of Antigua, Sandals Grande Antigua Resort & Spa offers the best of both worlds-the secluded seaside tropical paradise of the Caribbean Grove and the all suite Mediterranean Village that rises from opulent seaside villas to vast poolside piazzas. These two unique but both spectacular villages combine to earn Sandals Grande Antigua Resort & Spa many accolades including being voted The World’s Most Romantic Resort and the Caribbean’s Leading Honeymoon Resort by the World Travel Awards (unprecedented 14 years). Set on Dickenson Bay, Antigua’s most famous beach. The sophisticated six-star, all suite Mediterranean Village exudes all the classic elegance of a fine European hotel with authentic architectural details, including trompe-l’oeil ceilings, intricate tile work, and fine wrought iron detailing. From arrival looking out over the central fountain and the alluring Tuscan courtyard to the beautiful blue of the ocean beyond. 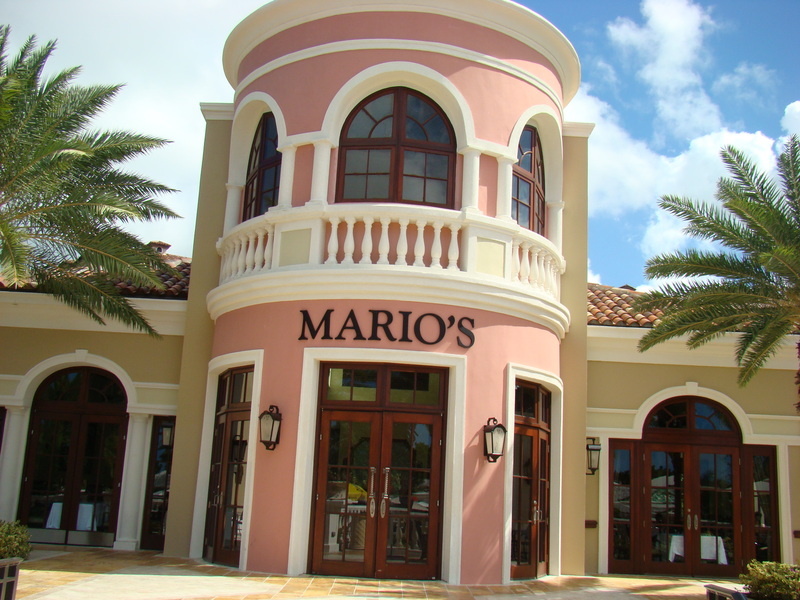 Fashionable shops and restaurants such as Mario’s dot the Piazza, all surrounding the expansive colonnaded pool- the largest in the Caribbean- all complimented by the luxury suites and villas. Top-tier suites include private butlers trained by the Guild of Professional English Butler providing attentive, yet unobtrusive discreet service as requested by clients. Shaded by towering coconut palms and lush tropical foliage the storybook charm of the seaside Caribbean Grove offers romance the perfect place to blossom. Romantic hideaways are tucked amongst the gardens gazebos, hidden swimming pools, hammocks or take a stroll down the garden pathway to the white sands by Dickenson Bay. Accommodations range from charming gingerbread cottages, seaside suites to Rondovals (suites-in-the-round) with private plunge pool sanctuaries and elite butler service. The allure of the Caribbean is perfectly captured in this seductive garden setting. Sandals Grande Antigua offers anytime dining at 11 specialty restaurants from casual beachside service to white-gloved elegance. Discovery dining allows you to savor the world from Italian, Caribbean, English pub fare, Parisian-style patisserie and Teppanyaki. Sandals Grande Antigua offers endless ways to play on land and sea, fitness center and the Red Lane Spa offers soothing for body and soul in the serene sanctuary infused with the calming scent of lemon grass. Spa services can also be performed in the privacy of your suite, in the lush gardens or a gazebo overlooking the sea. Watersports include kayaks, Aquatrikes, stand-up paddle boarding, windsurfing, snorkeling, scuba diving with custom Newton dive boats, six pools and six whirlpools. Weddings are a special affair at Sandals Grande Antigua from the beautiful beach to garden gazebos. To learn more about this amazing romantic resort contact Linda Dancer Sandals Platinum Specialist and Wedding Specialist, let’s talk about what is new and amazing at Sandals Grande Antigua.